[Ed: Socionomics goes beyond the ‘what’ of human events to pursue the deeper question of ‘why.’ Why does social mood wax and wane? Why does history seem to repeat itself in patterns? Why were hemlines higher last year? In this fascinating article, socionomist Euan Wilson offers part of the explanation: Fluctuations in social mood exhibit the same “golden” or “Fibonacci” ratio that also orders our DNA and galaxies. In 1202, Leonardo of Pisa, also known as Leonardo Fibonacci, brought knowledge of the Fibonacci sequence from the Arab world to Europe. The sequence begins with the numbers 0 and 1. After 1, each number is the sum of the preceding two: 0, 1, 1, 2, 3, 5, 8, 13, 21, 34, 55, 89, 144, 233, and so on. Several mathematical properties make the sequence remarkable. The quotients of each successive pair of numbers is a number progressing toward a constant, phi. Phi is an irrational number equal to roughly 1.618, and is named for Phidias, architect of the Parthenon. Expressed as line segments (see Figure 2), any two adjacent Fibonacci numbers show the same ratio of the smaller segment (b) to the larger (a) as the larger segment (a) to the whole (a+b). Note that any additive sequence begun with any two numbers (that is, not only 0 and 1) will yield successive quotients that converge toward phi. For example, -1 and 8 begin the sequence -1, 8, 7, 15, 22, 37, 59, 98, 157, 255, 412, 667, 1079, etc., and 1079/667 = 1.618. Thus, phi is a mathematical constant of all such sequences. The Fibonacci sequence and the shapes associated with it grow according to logarithmic functions. These functions, spirals in particular, are found throughout nature. By employing a logarithmic spiral, the bird maintains top flying speed, shortest time of descent and the ability to constantly view its target. 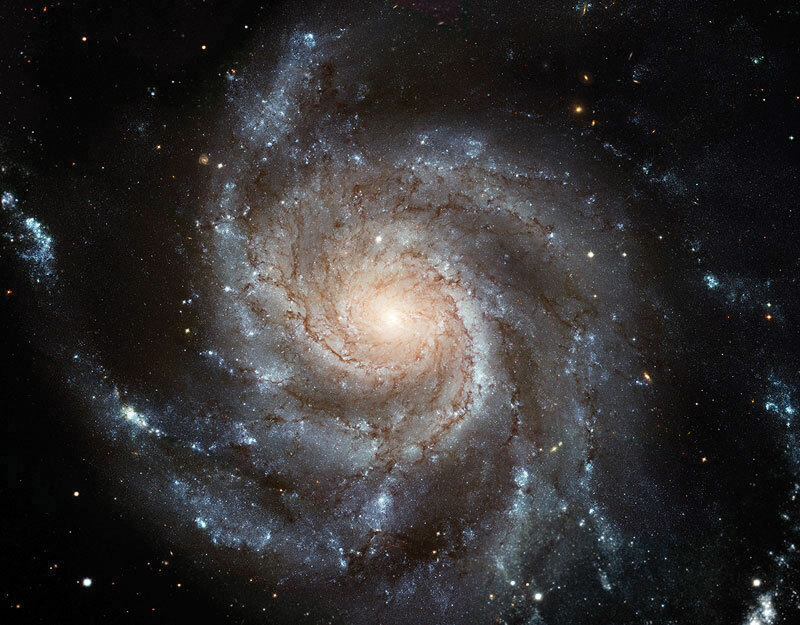 Logarithmic spirals govern a realm far greater than the falcon’s: the structure of many galaxies. You’ll come away from this article with an understanding of the patterns and fluctuations that form many of the basic building blocks of social mood, which in turn is a primer to help you understand how you can take appropriate action and be successful in the investment markets.